Video: The LeBrons Episode 3 - "Gloria"
The LeBrons learn the value of sticking by family when Gloria temporarily moves into the house. After Kid LeBron learned a lesson in staying true to himself in the last episode of The LeBrons, he's set to learn about the importance of family in the latest clip. 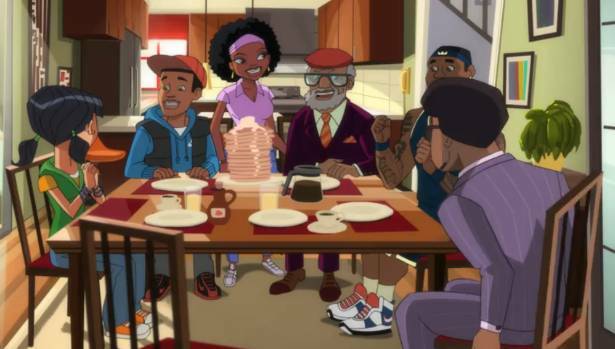 Titled 'Gloria,' the name of LeBron's real-life mother, this episode shows Kid and the rest of the LeBrons the value of sticking by family through thick and thin. With her own house being fumigated, Gloria stays at the LeBron house of a couple of nights. As a house guest, she becomes a bit of an annoyance initially, but patience pays off in the end. Check out what happens in the video below.